The lens tooth at the suitable groove angles, one half of the lens profile is created which is then mirrored and extruded to get the full profile. The significance of this work is that it ensures the precise focusing of the entire incident light along a straight line without any scatter. This reduces the effective photovoltaic cell area needed and hence cuts the cell cost tremendously. 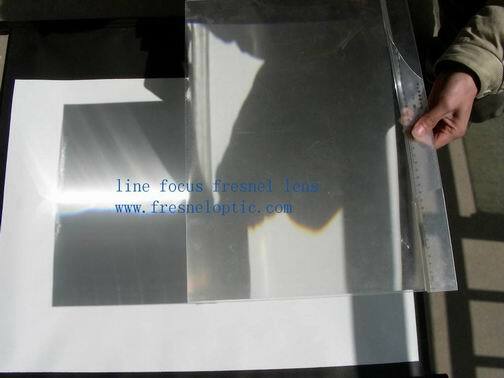 The thickness of the lens is 3mm, which enables it to be bent and mounted easily .